Camera tripod fits all cameras with a standard tripod mounting hole. Bubble level indicator helps keep your camera level. 3-section aluminum legs with brace for maximum strength and stability. Quick-release leg locks for maneuverability. 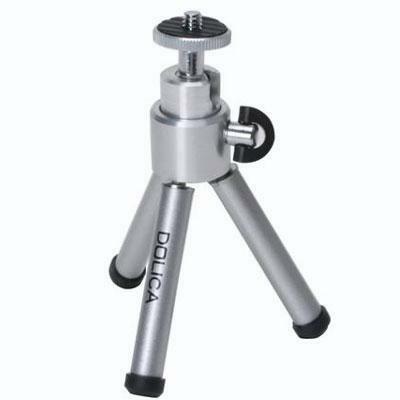 Non-slip feet keeps tripod steady. Quick release video photo platform makes changing equipment easy. Gear operated center column for precise vertical positioning.